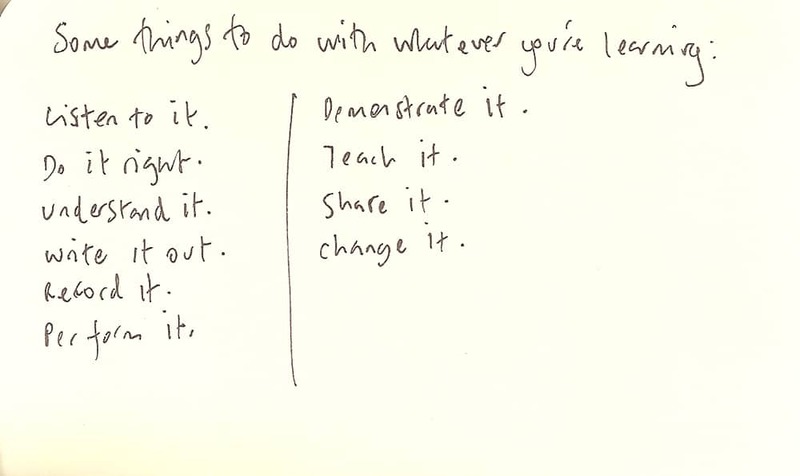 So the idea is to give yourself different ways to learn something. You may find if you try to, for example, demonstrate something you don’t understand, or don’t think you understand, then you may well find yourself getting a different perception of it from explaining it to someone. Even if you understand something, you may get a new angle on it from trying something different with it. You may even change your idea of what ‘understanding’ is. Case in point is this here post. Just writing down these thoughts is sparking many other thoughts for me right now.